soot”. This ink is water-soluble so that any mistakes can be easily removed from the paper with a wet cloth. In the old times, the soot used was scraped from inside the mosque antique amps, thus addicting an element of a spiritual blessing to the Arabic Calligraphy. You pour just enough amount of ink into the jar so that it can be absorbed by the fibers. The pen lifts the ink from this wad of fibers. This keeps it from acquiring too much ink and, thus, creating unsightly blobs when writing. Various inks can be used for specific manuscripts. The Koran, for example, may be written in a variety of ink colors, including the gold color as well. 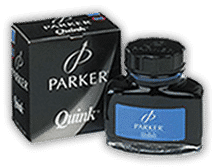 All sorts of inks were the outcome of continuous development, from invisible ink for writing secret letters, to ink containing ground glass that sparkled when dry.